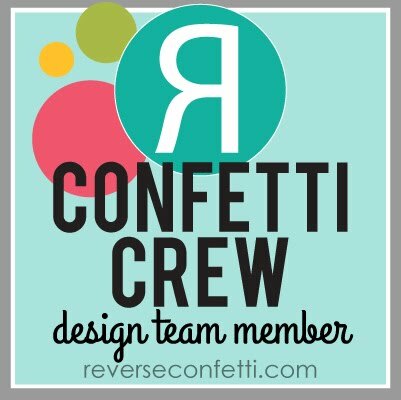 My Favorite Things is having a New Release Cocktail Party on Wednesday, November 5th from 9-11 p.m. Eastern time. This month there are FIVE new sets being released, including THE must have Who's That Girl set of the year! Head over to the MFT forum to find out all the details and to find out how YOU can be the next MFT Guest Designer. We hope to see you there tonight!! 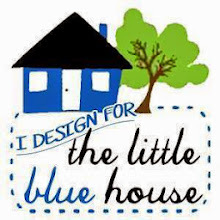 In the meantime, MFT is having their very first BLOGHOP ever today, to get you ready for this evening. 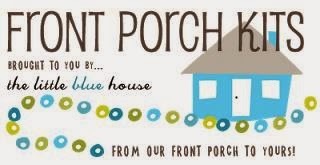 You won't want to miss what you will find at the end of the HOP!! 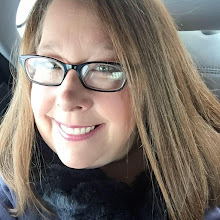 To get started, head on over to Kim's blog (MFT Lady) right HERE! 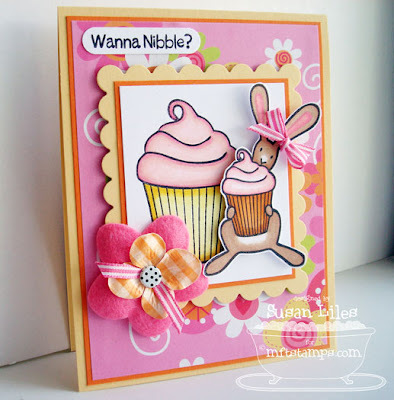 But first, take a moment to take a peek at my two cupcake cards. Flopsey is saving the BIG cupcake for himself, but offers you a nibble of the little one. Sounds like my kids! 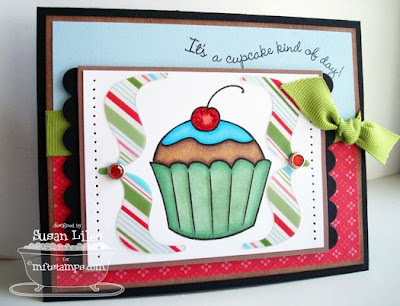 I stamped the other large cupcake from the new set, It's a Cupcake Kind of Day for the other card and put some fun clear bracket embellisments from Making Memories on it as well. Okay, I'm off to create some more fun-ness! See you tonight! TIP: I've mentioned this before, but here it is again; Cut a scalloped shape (a square for instance), in half and just use part of the scallops rather than mat an entire image. Fabulous as always!! Love them!! This card makes me Soooooo happy!